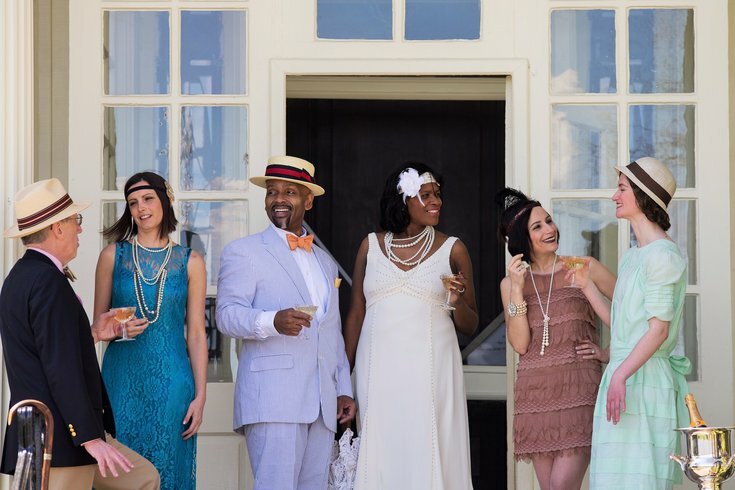 A Roaring '20s vibe will take over Glen Foerd Mansion in August. On Saturday, Aug. 4, there will be a 1920s-themed party at Glen Foerd, a Gilded Age mansion and estate overlooking the Delaware River. All ages are invited to Deco on the Delaware, which was called Jazz Age on the Delaware for the past three years. Attendees are asked to dress up in Roaring Twenties attire, pack a picnic to enjoy on the grassy lawns and spend the day in a different era. When choosing an outfit, make sure to put on your dancing shoes. Drew Nugent and The Midnight Society is performing, as well as other swing and jazz musicians (check out the lineup here). There will also be a performance by the Dreamland Follies, who will reenact dance productions from the Ziegfeld Follies era. When you need a break from the dance floor, check out a demonstration on 1920s hair and makeup styling or learn the do's and don'ts of the era's dining etiquette. Party guests can also play badminton and croquette on the estate's lawns, or enter a fashion contest and pie-baking contest. Tickets to attend Deco on the Delaware are $45 per person. Children 12 and under can attend for free. If you don't want to pack your own food for the event, there are packages available that include a picnic lunch and alcoholic beverages. Drinks will be available for purchase at the party, but no outside alcohol is permitted.